Twice in three weeks, I have disagreed with Mary Kenny of The Catholic Herald, which is the best Catholic newspaper in GB at this time. It may be her editors and the person who writes the headlines, which do not help her article. This week, she shows that she has no understanding of the seriousness of the defection of the nuns and sisters of the LCWR in America, something which is being discussed for weeks and weeks at length at wdtprs. Ms. Kenny should read the real deal. Those of us who have put up with the tyranny of the majority of nuns and sisters who have taught heresy and have stood against Humanae Vitae and the Gospel of Life, know what we have been up against since the early 1970s. I have written about this myself, how the nuns at my campus installed NOW as early as 1970-1971 academic year, giving them the right to counsel girls who were pregnant. Duh. This is not news. The Vatican has taken a very long time in dealing with a serious problem of defection among the nuns. I suggest Mary does her homework. The Obamacare package may be declared unconstitutional within 70 hours, God willing, and those of us who have followed this bill and actually read the sections which not only support contraception and abortion facilities, but deny freedom of conscience to those in the insurance and health industries, know what we are up against, as do all, that is all the bishops, who signed the statement of non-support, realizing the act is an attack on religious freedom in the States. Either Ms. Kenny does her homework before writing or she should not choose a subject about which she is ignorant. This action of the CDF is not about politics, it is about core teachings of the Catholic Church and whether nuns and sisters are living out their vows. This list of areas where these sisters leave Church doctrine is too long for me to repeat. One can read my comments on Fr. Z. He is covering this situation nicely. 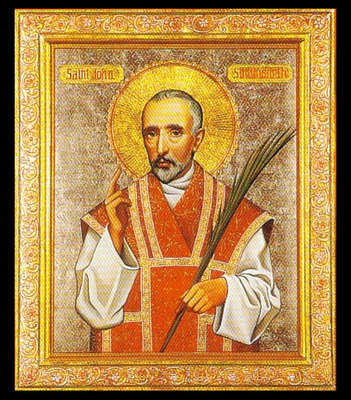 Today in the Diocese of Westminster, it is the feast day of the martyr St. John Southworth. I did not know this until I attended Mass this morning. His body is in Westminster Cathedral. Of all the martyrs, his story is one of pathos and a sense that not all of England wanted the harsh penalties against priests. Judging by the readings of the trial and commentaries, Father Southworth was considered a holy man by the Protestants, who knew of his long hours of working with those struck down by the plague in London. That type of ministry is heroic, indeed. This saint was one of the last martyrs killed under the laws of Elizabeth I. Another interesting aspect of this saint's life is that, because he was honored, the Duke of Arundel was permitted to keep his remains, which were then taken to the English College at Douai, where they disappeared, purposefully hidden, during the French Revolution. In 1927, the body was found in a garden of a house, and sent to London, where one can now see the martyrs remains in the Cathedral. Even in death, this saint experienced persecution. The martyrs provide us with guides as to how to live out our lives-faithful to the Gospels and to the Pope. This saint's life surpassed so many of his contemporaries. May he inspire and help us today. The saint's family was connected to that of the Southworths of Samlesbury Hall in Lancashire. I have not visited there, but the house has an interesting website. I had forgotten, until I was re-reading the history of Anglicanism again, that John Smyth, the founder of the first English Baptist Church, baptized himself, as he had concerns over the "true rite". That must have been difficult. "I baptize me"? This would have been shortly before 1612, a mere 400 years ago. Within 100 years of Henry VIII's break with Rome, in England alone, there were dozens of break-way, Protestant groups. Besides the Baptists, and Anglicans, (low at that time), there were Quakers, Brownists, Independents, Fifth-Monarchy Men, Sabbatarians, Calvinists, Congregationalists, Adamites, Armenians, Ranters, Puritans, Muggletonians, Socinians, Philadelphians, Sweet Singers of Israel, Levellers, Diggers, Scots Presbyterians, Covenenters of other sorts, Laudians, and some I am probably forgetting. Why some Catholics insist on celebrating Luther in 2017, the 500th anniversary of the beginning of the Revolt, I do not understand. A Revolt, not a Reformation....sorry. My post last week on dancing in Alaska, and Matt's dancing reminded me to tell you all that Alaska is one of the most beautiful places to visit or live in the entire world. The people are fantastic, and the Catholics friendly. Like Lake Wobegone, "all the women are strong, all the men are good looking, and all the children are above average." One place to visit is the ANHC, the Alaska Native Heritage Center, where I danced. On the site, is an amazing interactive map of the indigenous peoples. One reason I am writing this post is an idea which is connected to what I have been thinking for two weeks on gender roles. 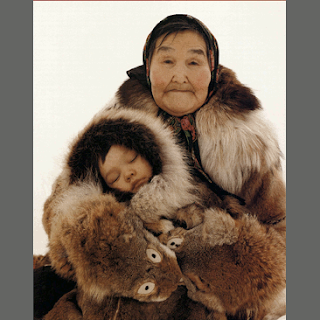 The people of Alaska, although varied, have kept traditional male and female roles. For example, the Yup'iks and the Cup'iks have this note on their section: Cultural roles and social rank were largely determined by gender and individual skills. Successful hunters, nukalpiit, usually become group leaders. Women roles included child rearing, food preparation and sewing. The men and women are proud to have kept their traditional roles. What happened to us? The Inupiaq note that Division of labor was by gender. Still important (...in these...)cultures are kinship and family relationships. These connections persist throughout the regions and are important in the management of the village, as well as decision-making related to everyday life. Today, many Elders reminisce about the past, mentioning the culture of sharing and helping one another in the villages of their youth. Village members would punish those who violated the rules of conduct of the village. The most serious form of punishment was banishment. Clan elders made decisions concerning marriage, leadership, and trading customs. Often the core of the traditional culture was a woman and her brother, and their two families. In such a combination the brother and his sister's husband often became hunting partners for life. Sometimes these hunting partnerships started when a couple married. Traditional Athabascan husbands were expected to live with the wife's family during the first year, when the new husband would work for the family and go hunting with his brothers-in-law. A central feature of traditional Athabascan life was (and still is for some) a system whereby the mother's brother takes social responsibility for training and socializing his sister's children so that the children grow up knowing their clan history and customs. Many of these customs are lost, and Christianity enhanced some. But, the common thread is the importance of the family. Can we go back to this lost priority in our sophisticated climate? The Catholic Church knows the importance of the family, children and the rule of law. We have been given the old and the new, nature and Revelation. Can we go back to simpler times and have the families we desire, full of commitment and love, duty and history? I know the natives have problems now, partly owing to the worst influences of imports and odd laws. 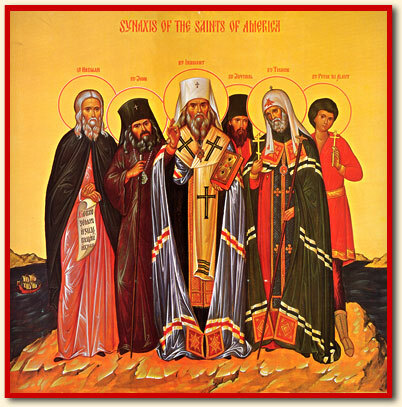 By the way, I have the icon of the saints of Alaska. There are several. One native is a martyr. Here is his story. And, we can honor the Orthodox Saints who are martyrs, as per an agreement with Rome in about 1922, which maybe a reader can find online for me. Here is one of my favorite Alaska saints, the Great Innocent. After he was ordained to the priesthood, he spent a year as a parish priest in Irkutsk, and then volunteered to go into missionary work in Alaska, though many other clergy were afraid to do so, because they had heard it was a wild country filled with dangerous savages. His wife broke into tears when she heard the news of this mission, but was unable to dissuade him, so at age 26, he and his family traveled over 2,000 miles, taking over a year to complete this arduous journey, and arrived finally in the Aleutian Islands in 1824. He built a church with his own hands, traveled to remote areas by kayak, dog sled, even reindeer. He learned six dialects of the native language and developed the first written alphabet for the native Aleuts. 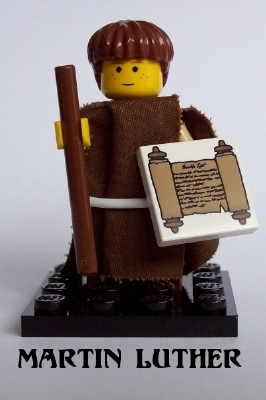 He translated the Bible and other sacred books into their language. Years later, he also translated scriptural books into other Alaskan native languages. He also studied all aspects of the local area, and wrote ethnographic, geographical and linguistic works for which he later was elected an honorary member of the Russian Geographical Society and Moscow Royal University. He returned to Russia to seek more resources and support for the Alaska mission, where, after his wife died, he took monastic vows and the name Innocent, after Bishop Innocent of Irkutsk. He was later consecrated Bishop, and was assigned to the new see of Kamchatka-kurils and the Aleutian Islands, to which he returned, tirelessly building churches, guiding priests, seeking to bring the Gospel and the Holy Orthodox Church to native peoples of Alaska. He encouraged the use of English, and the use of indigenous clergy. He was later made Archbishop, and later, having returned to Russia, ultimately became Metropolitan of Moscow, where he continued his missionary zeal, establishing and guiding an Orthodox Missionary Society. He is perhaps especially remembered for his zeal to bring the gospel to the world. The apostolic preaching of Metropolitan Innocent spread to a vast territory including Alaska and Chukotka, the Aleutian, Kurils and Commander Islands, eastern Siberia, the Amur region, Kamchatka and the Far East. Metropolitan Innocent brought the light of Christian faith to the Aleutians, Koloshes, Kurils, Eskimo, Kenai, Chugaches, Kamchadals, Oliutores, Negidales, Mongols, Samogirs, Golds, Gulyaks, Koryaks, Tungus, Chukcha, Yakutians, and Kitians. The preaching of the gospel was a primary achievement in the life of Metropolitan Innocent and occupied a special place in his apostolic service. The metropolitan had a great homiletic gift and was a remarkable preacher. He never missed an opportunity to preach and talk to people and tirelessly instructed his clergy to do the same. Holy St. Innocent, pray to God for us. 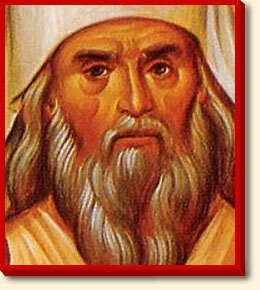 Our Father among the saints, St. Innocent, Metropolitan of Moscow, Enlightener of Siberia & America, is commemorated on March 31. Troparion in Tone III: O holy hierarch Innocent our father, thou who wast first to teach the tribes which before lay in heathen darkness, and first to show them the way to salvation, who didst labor as an apostle in the enlightenment of Siberia and America: Entreat the Master of all, that He grant peace to the whole world and great mercy to our souls. Kontakion in Tone IV: Thou wast a true and truthful teacher; for, having thyself done what the Lord commanded, thou didst thereby teach and instruct in piety those who came to thee, didst enlighten unbelievers to recognize the true Faith, illumining them with holy baptism. Wherefore, thou rejoicest with the apostles, receiving the honor of an evangelist of Christ.